Defend Hosting Review 2019: Is Defend Hosting a Good Hosting? 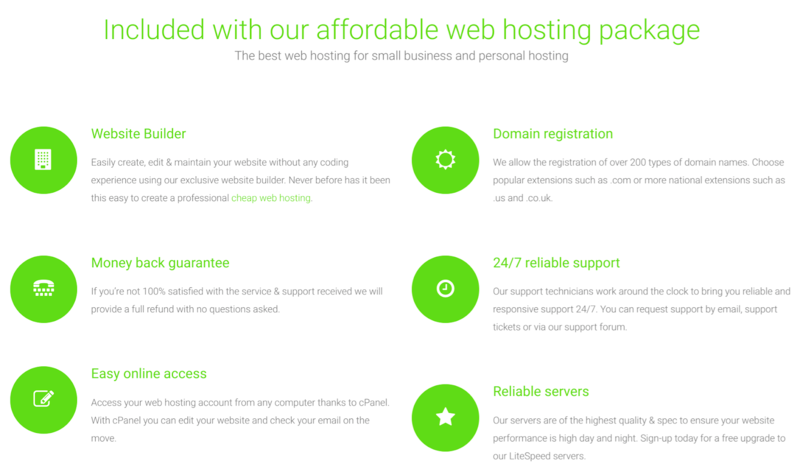 Defend Hosting is a U.S.-based hosting provider that was founded in 2009. They have a global customer base and servers located in three worldwide data centers. Defend Hosting was founded in 2009 with a mission to sell better website hosting. Despite being a relatively young company, they already have almost 2000 customers in over 150 countries and hundreds of servers in three data centers located the U.S. and Europe. Their website and support are available in English and Spanish. Defend Hosting operates hundreds of servers, colocated in three U.S. and European data centers and connected to multiple 10-gigabit backbones worldwide. They claim to use high-quality bandwidth providers to guarantee optimal connections and high availability of 99.99%. They advertise that their infrastructure is environmentally and ethically responsible. In addition to a range of hosting plans (WordPress, Joomla, e-commerce and dedicated servers), Defend Hosting offers three shared hosting plans with different resource quotas. The Basic, Performance, and Unlimited shared hosting plans come with 10GB, 20GB, and 30GB disk space respectively, 10GB, 25GB and unlimited bandwidth respectively, and five, ten or unlimited add-on domains respectively. The number of databases, FTP accounts, emails, mailing lists, subdomains and auto-responders increases in relation to the package size. All plans come with the easy-to-use cPanel control panel and LiteSpeed web server. There are plenty of beginner-friendly features such as a website building tool, the Softaculaous one-click installer, as well a support for WordPress, Joomla, and Drupal. Anyone looking for more advanced features such as phpCOIN, MyBB, or online file manager will need to upgrade to the top package. And if you’re looking for support for advanced coding languages or SSH access, then you’re out of luck. Frustratingly, whilst the plans are heavily geared towards beginners, daily backups are only available with the two top packages. If you’re a new or small website owner and you don’t need any advanced features, then the well-priced Basic plan with 10GB bandwidth and 10GB disk space should be sufficient for most everyday users. However, if you need some of the advanced-level features, then you will have to pay a premium price for the Performance or Unlimited plans. Plans come on one month or one-year terms, thereby offering the best of both worlds: a risk-free monthly plan and a steep discount for an annual plan. Quite a few add-ons can be added at the checkout, including backups, the Weebly website builder, SSL certificate and domain registration. Personally, I’m not a big fan of these extra costs that can increase the price quite significantly. But in Defend Hosting’s defense, they do offer a 30-day money-back guarantee which is quite generous. I am very impressed with Defend Hosting’s 24/7 customer service, which can be accessed by email, telephone, support tickets or via their support forum. On the plus side, I’ve engaged with a very friendly operator on live chat out of business hours. On the minus side, their knowledge base and network status page both appear to be empty. Defend Hosting is owned by a private professional web hosting company based in Miami. They’re growing well, and since 2009 they have worked with almost 2000 clients, have served over 120 million pages, and have transferred almost 8000GB of data. Wondering how Defend Hosting stacks up against other Web Hosting companies? Enter any other Web Hosting company and we will give you a side-by-side comparison.